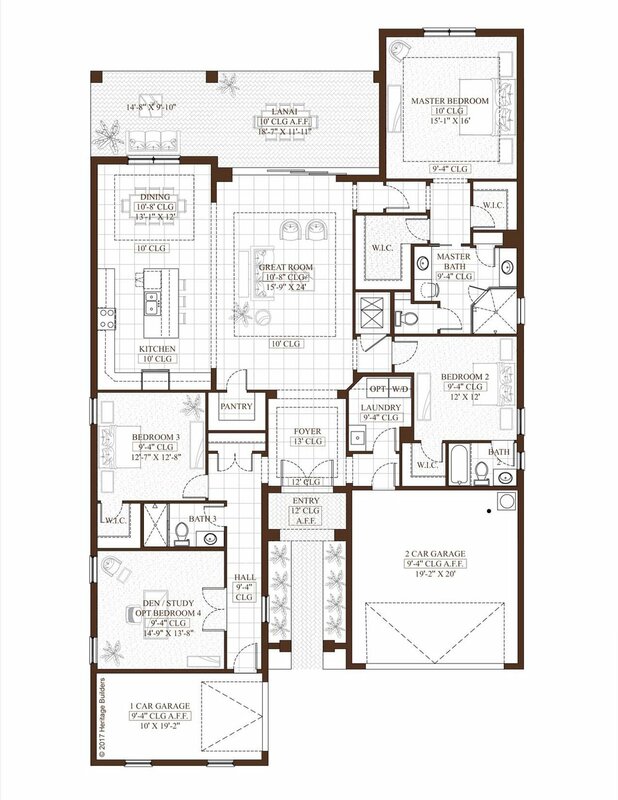 Magnolia is a luxurious three bedroom and three bathroom floor plan. A warm and inviting courtyard welcomes Owners to a flowing great room design with a Dining Area facing the outdoor living area and optional pool. A luxurious Master Suite with split his and her closets and bathroom vanities awaits. The home has a unique split three car garage design for private guest access. All homes in Sandhill Lake are available in sophisticated West Indies, Spanish and Coastal Florida architectural styles, with numerous structural options to suit Owners' lifestyle needs.